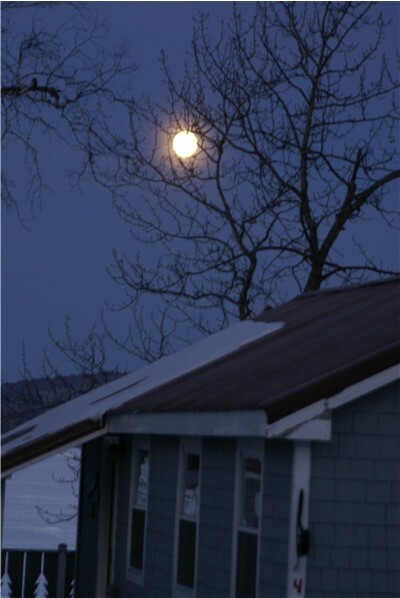 We woke this morning to see this glorious huge moon setting in the west. It felt so close like we could almost touch it. Moe snow due in this week so do not put the sleds away. Happy Valentines Day 🙂 And a gorgeous day it is. The sun is shining, temperature around 28 and only a gentle breeze. The best trail reports we get are from our guests who are out their riding. Even though they seem to all have varying opinions since not everyone likes the same thing, the consensus is that the riding in our region and beyond is really good. Those who have gone to Pittston Farm, Northeast Cary and to Kokajo say the ride was excellent. Some rough areas near Kokajo but otherwise in good shape. Another group went south on 89 heading toward the Forks yesterday with good riding but then got stopped before Parlin due to logging so they and a bunch others had to turn around. Another group took the 87 south to Parlin and then on to the Forks and said that riding was good until the Forks. This group went to Greenville the day before and also said trails were good. Not as much snow that way but the trails were groomed and offered a great ride. 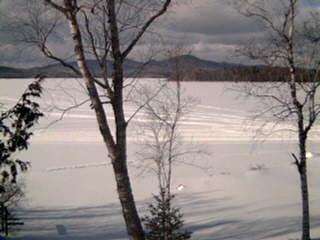 A snapshot from our webcam this morning. It is a gorgeous day in Jackman. We received about 4-5 inches of snow from this last nor-easter. Yes more would have been better but since we have a great base, it is enough to make the trails in pretty good shape. The groomers have hit all the trails on our system. The Northern routes including the border loop are really good. East to Pittston has been groomed and plenty of snow. The club rerouted the trail for better riding after the freeze. This trail is marked. The intersection to meet ITS 88 will be at the Bald Mountain Road, traveling to Fish Pond then back to meet with the original ITS 88 trail. 89 south is still not a good option. Very icy and thin in areas. Another option to go south though would be to take ITS 88 east and turn onto ITS 87 south, it is reported in good condition. I have not been able to get decent up to date trail reports from Rockwood or the Forks area but the areas the Border Riders groom is in good shape. Enjoy the week. More snow is due in this week also. 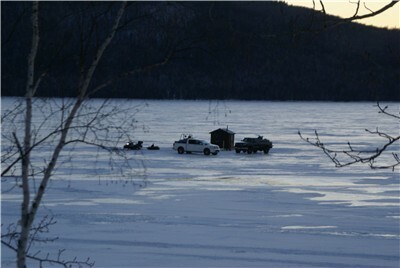 A question we often get ❗ So yes, you can fish on Big Wood and take the lake trail for snowmobiling. 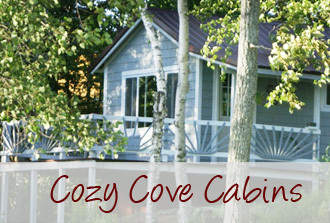 One advantage of staying here at Cozy Cove Cabins is that you can save a few dollars by bringing food and cooking in the cabin. BUT going out to eat for at least one meal is also a nice break. SO here are some of your options that are new for 2013. Bigwood Steakhouse is offering a 2/$25 on Thursdays and Sundays. They are also a BYOB and you can walk there from here. Bishops Store is now on Facebook and post specials on their page. Be sure to Like them to take advantage of the specials. Mike-s Moose Crossing is a new place that opened this year on US 201 just north of Sky Lodge. Although they also offer tips and steaks, their menu offer more fish and lobster options. They also offer a wonderful Breakfast buffet on the weekends. Most said the trails are decent in general. They all said they rode about 200-250 miles in their 2-3 day stay. A lot of Ice so many were glad they had picks and scratchers 😕 (hope I have those terms right) to cool them and get around turns. The Border Loop from the clubhouse is very good; the ride to Pittston Farm is decent…some areas better then others; and some took 88 east to the 87 south and had a decent ride. We have not heard of any major storms due in but it is spitting a bit of snow now in town and yet we can barely see the mountains across the lake so hopefully more happening at higher elevations. If this is the only time you can ride, our guests said it was worth the ride.